We hear the message "You can be beautiful at any age!" so often that it's become kind of meaningless, but when we see living, breathing proof of it? Well, that's a little more conniving. 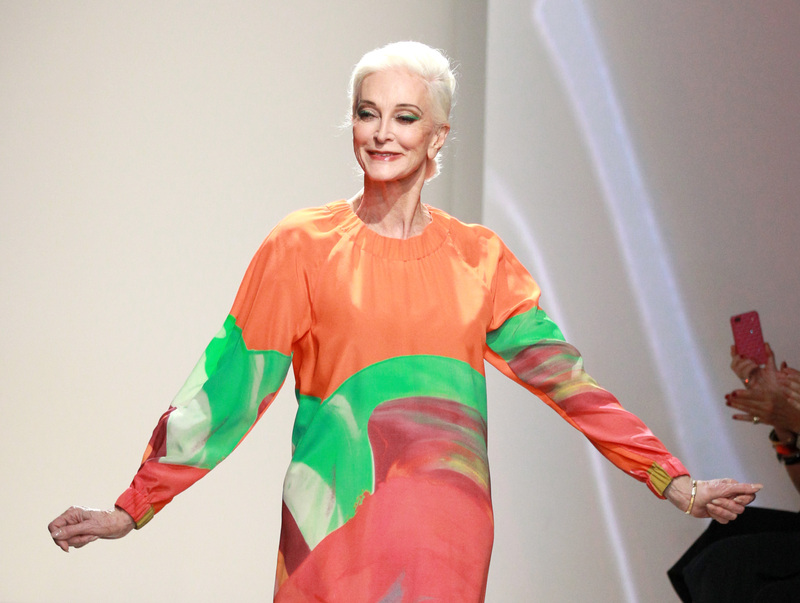 These three models who are getting gigs at over 80 are seriously gorgeous, and proof that wrinkles don't have to be Photoshopped away, hair looks stunning in shades of silver and white, and bustiers aren't just for Madonna. Unlike magazine issues celebrating "hotties over 40" — which is supposed to make us feel how, exactly? — these models have legitimately been around for a while, and they have the smile lines to prove it. They've also got really great hair, which is perhaps the most encouraging takeaway from all of this. Then there's 81-year-old Jenni Rhodes, who recently starred in Velma's Fall/Winter ad campaign, showing everyone just how refreshing and visually arresting an unexpected face can be, and going sleeveless, which is something older women are often encouraged against. She's represented by Close Models and her specialty is hands. No surprise; hers are gorgeous. And last but certainly not least, the oldest gal working in the biz today is the fantastic Daphne Selfe, who at 85 makes us long for wild gray hair and a lovely, naturally-aging face. And a cool name. And her bone structure. It's so lovely to see these women working steadily and taking stunning photos like these. They're fantastic reminders that aging doesn't mean the end of beauty, or even more insidiously, the end of femininity — it's just a new stage in, as Mary Oliver says, "your one wild and precious life."